Margaret McGarry RIP – We extend deepest sympathy to Club Officer Claire McLoughlin on the death of her mother Margret last week. Margaret was also mother-in-law of Club Chairman Padraig McLoughlin and grandmother to players Alan and Darren McLoughlin. The deceased worked as a matron in Árus Ó Carolan for many years. Ar Dheis Dé go raibh sí. 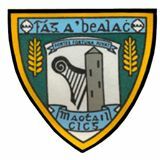 Under 17 – Last week this young team met Ballinamore but once again they were beate, this time by a strong Ballinamore team. A lot of these lads are Under 15, so let’s hope we have better days ahead. The panel was, S Moran, L Ellis, G Reynolds, C Quinn 0-3, J Murphy, C Keegan, N McNabola, S Bohan 0-1, N Keegan C Keegan, F Cassells 0-2 C White, D McCrann, A Nitche C Wauhua. Under 13 – These lads have qualified for the Semi-final of the Div 1 15 aside and the Reserve 13 aside when they had two fine wins against a dogged Dromahaire in freezing wet, conditions last week. At this age group we have plenty of players with 24 boys travelling and some big names missing with injury and holidays. Scorers in both matches were, Matthew Murphy 2-8, Aaron McCrann 2-1, Senan Curran 1-0, Jack Rowley 0-1, Evan Kilrane 0-1, Daniel Beirne 2-2, Thomas Casey 1-1, Blaine McCrann 0-1, Patrik Coka 0-1. The semis are on Thursday next but check fixtures. Div 1 League – The game was changed to Mohill last Saturday and it proved a happy hunting ground with a win over Aughawillan the prize. We wish our scoring machine Keith Beirne a Happy 21st Birthday which the team we are sure celebrated following the game. Lotto – No Jackpot winner with numbers called 11, 18, 24, 25. Lucky dip winners were €70 Niall Flynn Mohill, €40 Dylan and Eve Devlin Ardee, €20 Alan Farry, Mohill. Support the Mohill Lotto, online, Direct Debit, Yearly or at any business in the town.